Quite a few newcomers cracked the top 10 list this year, thanks in part to their improved ratings among travelers and additional industry accolades. Selecting the perfect hotel can be difficult. Which is more important: location or amenities? Are you more concerned about getting a good night's rest or making sure the property offers plenty of perks like a pool, gym and business center? What if you're looking for a combination of all of the above? 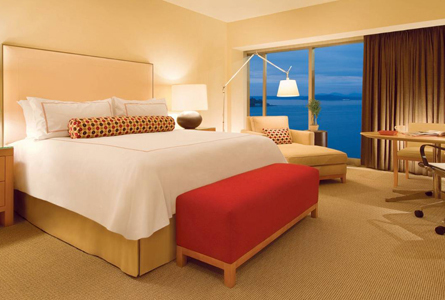 Determining a hotel's quality and assessing all of its offerings can prove challenging from afar. That's where U.S. News & World Report's annual Best Hotels in the USA rankings come in. The travel editors at U.S. News researched and analyzed an array of resources -- from guest reviews and expert recommendations to travel websites and industry award lists -- to solidify an extensive list of the best places to stay in the United States. Our editors used a comprehensive methodology to evaluate more than 1,700 luxury hotels across the USA, taking into account the hotel's class rating, the number and prominence of industry awards it received and traveler reviews. From historical hotels set in the heart of cities like Washington, D.C., and Chicago to charming resorts found in secluded areas in the South and across the islands of Hawaii, this group of properties highlights the numerous and diverse lodging choices across America. Quite a few newcomers cracked the top 10 list this year, thanks in part to their improved ratings among travelers and additional industry accolades. 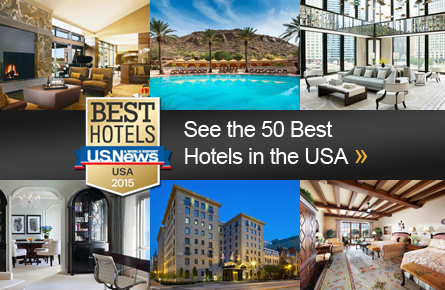 The 10 top hotels in the USA for 2015 rise above the rest of their hospitality peers because they offer the right mix of what most travelers are looking for in a hotel -- picturesque locations, comfortable accommodations, luxe in-room amenities and superb service. The Jefferson is set in the heart of D.C., just north of the White House, making it a convenient spot for visitors to the nation's capital. Thanks to its higher traveler satisfaction rating and its collection of awards, the hotel made an impressive jump on U.S. News' Best Hotels in the USA list, rising up the ranks from No. 99 in 2014 to No. 10 in 2015. The historic hotel is host to a wealth of amenities, including an on-site spa, free Wi-Fi access, upscale dining venues and a cozy lounge, and its charming decor features tributes to its namesake, Thomas Jefferson, and his Monticello home. Aside from honors from Fodor's and Frommer's, The Jefferson earned recognition from more industry experts in 2015, including Travel + Leisure and Lonely Planet. Plus travelers praise The Jefferson (it nabbed a spot on the Condé Nast Readers' Choice List), noting the hotel's staff members went out of their way to make their stays memorable. Impressive customer service, rooms with city and Lake Michigan views and a 50-foot-long indoor swimming pool are just a few of the perks that set this hotel apart from its other Chicago competitors, according to recent guests. Visitors were particularly impressed with the housekeeping staff and the friendliness of the hotel's employees. What's more, the property offers the Four Seasons brand's luxury amenities like MALIN+GOETZ toiletries, spacious accommodations and innovative dining. Situated on the Windy City's popular Magnificent Mile, the Four Seasons Hotel Chicago also earned the prestigious AAA Five Diamond Award for 2015 and the Forbes Travel Guide Five Star Award for 2014. The combination of industry accolades and praise from guests helped propel the hotel up from its No. 50 rank last year. An oasis of tranquility on the outskirts of Phoenix, The Canyon Suites at The Phoenician sits at the base of Camelback Mountain. Aside from amazing mountain and desert views, the smaller boutique operating within The Phoenician complex offers oversized suites with private terraces, marble bathrooms with separate showers and bathtubs, and complimentary Wi-Fi access. The property, which ranked No. 31 in 2014, also houses a 27-hole golf course for those interested in hitting the links and a Tennis Garden featuring 11 courts. The private infinity pool is another standout amenity for guests at the Canyon Suites. "Opulent," "accommodating" and "divine" are just some of the adjectives visitors use to describe the hotel, which earns plenty of additional praise from critics and patrons: The hotel received a Frommer's Exceptional rating and Condé Nast Readers' Choice Award this year, on top of the 2015 AAA Five Diamond and 2014 Forbes Travel Guide Five Star awards. The Grand Del Mar is consistent -- year after year guests laud the hotel's outstanding service, impeccable grounds and beautiful location in Carmel Valley just north of San Diego. Its consistency has earned it numerous industry awards, including the AAA Five Diamond Award and a spot on Travel + Leisure 500 World's Best Hotels list in 2015. 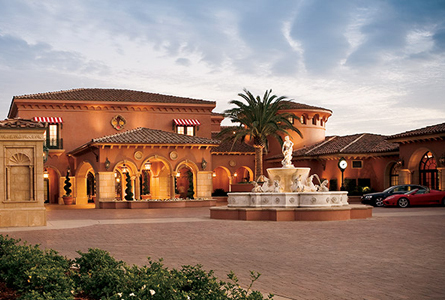 Its awards and overwhelmingly positive guest reviews helped the Grand Del Mar secure the No. 7 spot on the Best Hotels in the USA ranking for the second consecutive year. The property offers guests the choice between rooms, suites or villas, and the Grand Del Mar is home to a sprawling five-star spa, a Tom Fazio-designed golf course and award-winning restaurants. Plus, complimentary services like transportation to the beach, organized Saturday morning waterfall hikes and fitness classes put the Grand Del Mar a touch above its nearby competitors. 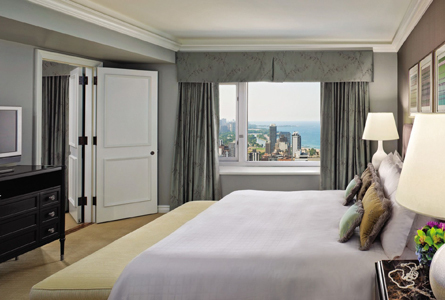 First opened in September 2013, The Langham, Chicago has already become a standout in the luxury hotel scene. The property earned distinction from Travel + Leisure on the 500 World's Best Hotels list and "It List," as well as the coveted AAA Five Diamond Award in 2015. The Langham is set in the heart of the city along the banks of the Chicago River, making it an ideal spot for visitors traveling for work or for play thanks to its proximity to downtown businesses and the Windy City's top attractions. On-site amenities include everything from the 22,000-square-foot spa and indoor swimming pool to the tasty dishes at Travelle. In its short time open, The Langham has received praise from numerous visitors for its upscale accommodations and the staff's helpfulness and attention to detail. The Four Seasons Hotel Seattle impresses guests with its outdoor pool, rooms with sweeping city and Elliot Bay views, and excellent service. And the hotel's tailored packages make visitors feel like VIPs, whether they're interested in a private tour of Dale Chihuly's studio and the Chihuly Garden and Glass or a romantic retreat complete with a sunset sailboat ride. This Four Seasons outpost's location isn't too shabby either -- it's within walking distance of the Pike Place Market, the Seattle Aquarium and the Seattle Art Museum. Also winning favor with travel experts, the Four Seasons Hotel Seattle is a 2015 Condé Nast Traveler Gold Award recipient and a 2015 AAA Five Star Award-winning property. Solidifying a spot in the top five Best Hotels in the USA for the second year in a row, The Allison Inn & Spa is nestled in Oregon's wine country, the Willamette Valley. The intimate property boasts just 77 rooms and suites, all of which have floor-to-ceiling windows, gas fireplaces and balconies or terraces. Highly regarded by travelers for its seclusion and quiet atmosphere, the hotel also houses a 15,000-square-foot spa that offers guests a chance for even more relaxation with treatments like its signature grape seed body scrubs and mimosa massages. What's more, The Allison Inn & Spa -- a Lonely Planet Top Pick, Travel + Leisure 500 World's Best Hotel and 2015 AAA Five Diamond Award recipient -- gains recognition from travelers for the delectable dishes and wine served at JORY Restaurant & Bar and the hotel staff's willingness to make guests' stays exceptional. The Inn at Palmetto Bluff's mix of Southern charm and active pursuits just west of popular Hilton Head Island attracts vacationers year after year. Guests can kayak, canoe or paddleboard along the May River, try their hand at fishing or explore the more than 20,000 acres of land by hiking, biking or horseback riding. Experts and travelers alike love this property's quaint, Southern-style cottages complete with vaulted ceilings, fireplaces and screened-in porches, and its top-notch service staff. 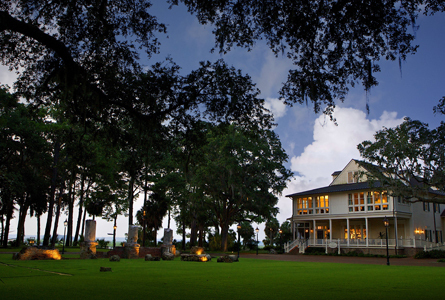 So much so that, aside from being recognized by U.S. News, the Inn at Palmetto Bluff also made the 2015 AAA Five Diamond Award list and the Condé Nast Readers' Choice List. The Lodge at Sea Island is no stranger to accolades -- it was named a 2015 Travel + Leisure 500 World's Best Hotel and received the 2015 AAA Five Diamond Award, plus last year it was named U.S. News' No. 1 Best Hotel in the USA. Though it was nudged out of the top spot, this hotel still maintains a high standard of excellence by providing guests with an abundance of amenities and attractive accommodations. The property features three championship golf courses, a massive spa and fitness center, tennis and squash facilities and multiple restaurants. Meanwhile, the Lodge's English country manor-styled rooms are outfitted with hardwood floors, Oriental rugs, marble bathrooms with deep soaking tubs and 24-hour butler service. Plus, according to recent travelers, simple gestures like employees calling guests by their names make visitors feel truly special at this hotel. Soaring to the No. 1 spot on the Best Hotels in the USA ranking this year (up from No. 9 in 2014), the Mediterranean-inspired Rancho Valencia Resort & Spa sits on 45 acres of verdant gardens and olive groves in southern California. In addition to racking up some of the industry's most distinguished accolades, including the Condé Nast Traveler Gold Award, the 2015 AAA Five Diamond Award, and recognition as one of Travel + Leisure's 500 World's Best Hotels, the Relais & Châteaux resort receives plenty of compliments from satisfied guests. The hotel's staff is often described as warm, friendly and helpful and the grounds as well-maintained. The casitas are also met with praise for their custom wooden furnishings, comfy beds and ample amenities, including Illy espresso machines, private patios and nightly turndown service. Previous visitors also appreciate the variety of on-site activities and features, which include a pool, yoga classes, tennis courts and bikes for use. About the author: Erin Shields is a Travel Editor at U.S. News. You can follow her on Twitter, circle her on Google+ or email her at eshields@usnews.com.